We are close to the end of 2018 and the crypto market is yet to fully move out from the bearish state. Even as many coins were battling hard to leave the sledge hammer of a bear run, Stellar’s XLM was unto something big. Partnerships became the norm in 2018. Stellar (XLM) got a willing partner in IBM. As the year draws to an end, the coin’s investors are already hodling their XLM coin ahead of 2019. Stellar was launched in 2014 to disrupt international transactions. Locking horns with Ripple’s XRP, the coin seems to have landed itself the mother of all partnerships. IBM is set to increase the coin’s value by making positive inputs in the coming year. As 2019 draws nearer, the crypto community should watch out for some of these events that will shape the financial fortunes of Stellar (XLM). The computing giant, IBM went into a partnership with Stellar (XLM) with the intention of facilitating cross-border remittances. The IBM Blockchain World Wire, the outcome of the merger, is to be used as a financial rail network for settlement and facilitation of transactions. With this amazing product coming from Stellar’s (XLM) end, the prospect of Ripple’s (XRP) xRapid and xCurrent controlling more shares in cross-border remittance is unlikely. The system also promises to be faster and will attract fewer costs. Before now, Ripple’s XRP was in control of major sections of the market. At a time, it was rumored that the coin was the next big thing after Bitcoin. 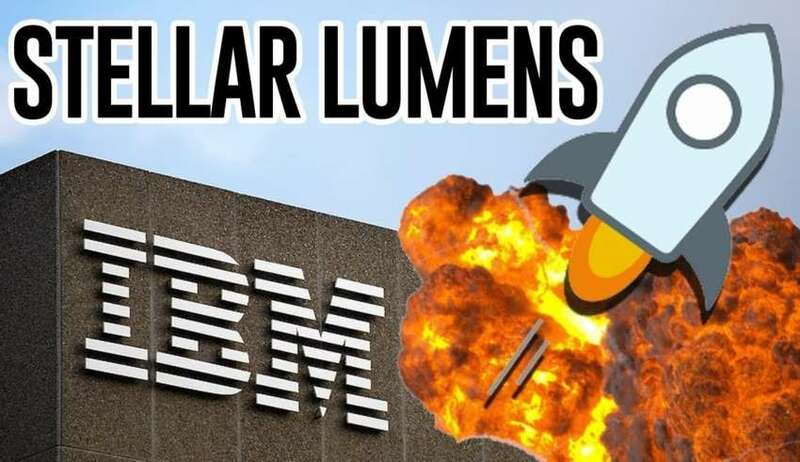 However, Stellar’s (XLM) partnership with IBM opens the door to DLT’s relegation. Many national banks are using the xRapid and xCurrent products from Ripple (XRP) for international transactions. With the coming of IBM into the picture with Stellar (XLM) as the underlying partner, distributed ledger technologies (DLTs) are on the brinks of relegation. The Blockchain World Wire works perfectly without extra dependence on DLTs. This is a great leap into the picture. It will be amazing how banks will opt for this over DLT solutions like xRapid. Affordability and Speed: Stellar provides the ability to transact between different currencies as well as the capability to move money around the world quickly and securely at a low transaction cost. Decentralized Financial System: As a decentralized payment platform, Stellar’s digital ledger does not depend on a single entity. Rather, through a mechanism known as consensus, the independent servers participating on the Stellar network sync and validate transactions on the ledger. Perfect for Micropayments: A key factor behind its growth is that as the blockchain industry continues to experience expansion, the demand for Stellar’s micro-sized transactions is sure to substantially increase. High- Profile Partnerships: early in 2018, Stellar (XLM) announced that it had secured a major partnership with IBM to explore blockchain banking across multiple currencies. The Stellar network recently formed partnership with Blockchain.com, after which it had a $125 million airdrop becoming the network to perform the highest airdropin the market to date. Other strategic partnership include Blockchain.com, Deloitte, KickEx, Tempo and Slice amongst others. Non-Profit Organization: Stellar Lumens is a no- profit organization with focus to improve cross border payments and remittance among the unbanked. Rather than use other projects like Bitcoin (BTC) or Ripple (XRP), IBM chose Stellar (XLM). According to a comment from Jo Lang, IBM Offering Leader at IBM Blockchain Financial Solutions, IBM chose to partner with Stellar because of its non-profit status, its scalability and possession of a professional team. That Stellar provides token ownership transparency and has the ability to support any asset type. IBM is a major supplier of banking hardware with over 30 banks on their list of associates. This partnership places Stellar in a good position not just in banking but in the broader financial services industry too. For example, Visa, a major global financial service firm is working with IBM and this is a definite plus for Stellar (XLM). IBM’s partner Veridium Labs is also looking to create a XLM based token called Verde. The token is designed to give enterprises with high pollution rates the opportunity to make up for environmental damage by supporting the Indonesian rainforest. Stellar is also carried on the wave of IBM’s partnership with Australian government for the development of AI, quantum computing, and blockchain in the country. 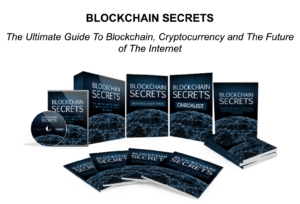 The invention of cryptocurrencies changed the global financial system. The likes of Ripple (XRP) and Stellar (XLM) took SWIFT off the map of cross-border transactions. With the floor left open for the two coins, Stellar (XLM) is taking back the upper hand with its partnership with IBM. The Stellar-Based Blockchain Payment System (Blockchain World Wire) is perhaps, the final straw that will break the bone of contention between Ripple’s XRP and Stellar’s Lumen (XLM). What provides Stellar with an even bigger intrinsic value in the market is the fact that Stellar also has a use case in asset tokenization. STOs since they pretty much eliminate the loopholes that comes with ICOs are the future of financing since STOs entail the financing of already existing businesses that are security regulations compliant. By reason of its DEX platform Stellar stands a chance to lead the STO revolution as it is both scalable and feeless. As STOs pick up momentum, it could become the norm for companies to tokenize assets- even stocks- unlocking endless potential in global blue chip companies. The significant partnering of these two organizations (IBM and Stellar) is sure to birth many more progressive and advantageous dividends for the two networks even as they journey into the year ahead. Stellar is a digital asset that has been able to garner credibility for itself in the crypto space and IBM itself is a force to reckon with across the globe. Is it going to be any surprise then that this partnership is sure to become bigger and better in the 2019 boom? Next article What is #MetaHash?